In our culture it isn’t easy to live without single use plastic – that’s the stuff that is used for a matter of minutes and then discarded. Go into any supermarket and notice what most of the packaging is made of, and you’ll find it all over the shop, literally! 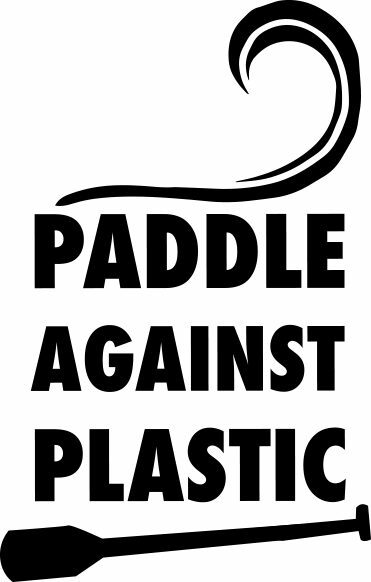 You’ve all seen the pictures and videos – single use plastic is destroying our oceans, killing wildlife, and causing harm to us too by harbouring carcinogens. I’m not going to focus on the negatives here, but on positive solutions. It’s very difficult to live without single use plastic completely, but there are lots of ways to vastly reduce the amount we use. Here are ten really simple switches you can make to achieve this. 1. Ditch the plastic water bottle. I seem to have accumulated enough cloth bags now that there’s fortunately always one lurking in my van or my rucksack (and there would presumably be one in my handbag if I had one). If, like me, you’re best attribute isn’t forward planning, then take that responsibility off your plate and litter your travelling items with reusable bags that you can whip out and impress your mates with when you accidentally find yourself buying scooby snacks out and about! With the 5p plastic bag charge, fortunately the number of plastic bags being used in the UK has reduced by 80%. If you do forget your bag, the waddle out of the shops with your pockets stuffed full of purchases and recently bought items toppling in a delicate balancing act can be classed as a sport – no need to go to the gym that day! But still advisable to take a reusable bag with you if poss. This is one of my favourites, because I have convinced myself that it legitimises buying posh coffees from local coffee shops. Almost daily. This has become one of my favourite pastimes, alongside running into the sea like a child, giggling like a maniac. There are some really lovely reusable coffee cups out there for sale, and some ingenuously eco-friendly ones. My favourite coffee cup at the moment is a Klean Kanteen double layered vacuum cup, which claims to keep drinks hot for 4 hours. I can attest to this – sadly I often get dragged into an emergency as soon as I re-enter the hospital building after a lunchbreak, with the aforementioned posh coffee in hand. Said coffee will take a back seat, I’ll return to it 3 hours later to find it still piping hot. No posh coffee goes to waste on my watch! Microbeads are the ninjas of the single use plastic world. If you haven’t yet heard of them, they are tiny, sometimes microscopic, bits of plastic that sneak their way into some cosmetics such as scrubs. What’s particularly dangerous about them is that they’re washed down the drain, and eventually into the ocean, where fish ingest them. They’re really tricky little bits of plastic because once they’re in the ocean, they’re impossible to find. So how do you know if the cosmetics you’re using contain microbeads? Get the free Beat The Microbead app: http://www.beatthemicrobead.org – you can scan the barcode on a product and the app will let you know if it contains them or not. Super easy. Then don’t buy it. There are plenty environmentally friendlier alternatives. This is often a tricky subject to broach. Ladies, I know as well as you do that compromising on sanitary care is simply not an option. It’s bad enough feeling that many emotions in the space of 24 hours without having to use some weird plastic free product to stay clean. Well. Let me tell you. I started using a mooncup, and it has changed my life. Literally. We have periods for about 20% of each month, which is a fairly big chunk of time, so finding a product that works for you is really important. I never ever thought that for me, that would be a mooncup – having seen it advertised at Glastonbury festival I thought it was an exclusive club for hippies only. Not only has the mooncup meant I can be proud to have plastic free, and indeed completely waste free, periods, it also lets me surf longer without thinking about my period, travel longer without worrying about where I’m going to be able to get hold of tampons, and, in an ironically hippie way, reconnect with my body and what’s normal for me with no unnatural products causing it harm. It’s a fluster-free period, and for adventuring, long periods of time out at sea, and comfort, for me it’s the only choice. If mooncups really aren’t your gig, there are reusable sanitary towels too. If tampons are your go to and you’d rather not change that thank you very much, then there are plenty out there with cardboard applicators rather than plastic ones. If we think about how many we’ll use in a lifetime, making this simple switch can reduce plastic consumption a whole lot. And whatever you use, please remember not to flush any of it down the toilet. Even tampons can block drains, cause sewage overflows and end up in the ocean. And quite frankly, I get a bit squeamish picking up plastic applicators off the beach which have been flushed somewhere far away. Grim. It can be a little bit tricky to find all the fruit and veg you would normally eat unwrapped. But there are ways! I’ve found an amazing farm shop in Halberton (Devon) which has loads of unpackaged fruit and veg including… drum roll… farm grown kale!! Those of you reading this who try and live plastic free will, I’m sure, understand the importance of this: Kale is almost always wrapped in a plastic bag in supermarkets. There are heaps of farms around the country that will deliver you a fresh, local veg box, and you can always ask if they’ll bring their produce to you without plastic wrapping. If your only grocery shopping opportunities come in the form of a supermarket, which is unfortunately often the case, then choose the loose items where you can and don’t take one of those little plastic bags too put them in – it kind of defeats the object! Most supermarkets have some fruit and veg that’s unwrapped. What is the point of the plastic straw? Ok, it can be fun sipping your cocktail through a small tube, and I know as well as anyone that drinking prosecco this way gets you nice and giddy. But we have mouths. So for the sake of a few minutes of straw time, we’re releasing an unnecessary item of plastic into the environment that’ll persist for upwards of 200 years, causing harm the whole way. I was recently in Indonesia, and in 20 minutes on one beach I collected over 100 straws. All probably used for a matter of minutes. You can buy reusable straws which are really nice to drink from. In Indonesia I had a lot of fun with my mate challenging each other to remember to ask for no straw when we ordered our drinks, and then observe the bemused looks of the staff when we produced our own. (We had a very fun holiday). If you don’t have a reusable straw, just try and drink your drinks using the versatile and ever useful lips that we were blessed with. Drinking a fresh coconut in this way is particularly pleasant and much more fun! I appreciate how hard it can be to source meat safely without plastic wrapping. I don’t eat much meat, but occasionally I crave it. So when I do, I make a point of taking a clean tupperware to the local butchers and amusing the staff by asking for my meats to be put into this instead of wrapped in plastic. It is less convenient than buying it ready packaged in the supermarket, but I also really value quality meat of high welfare standards too, so for me buying the odd bit of locally reared meat in this way feels right. Similarly with bread, if you have a bakery locally, can you fit going there a couple of times a week into your routine to pick up freshly made bread without the packaging? There are lots of home recipes out there for making your own shampoo and conditioner, and even toothpaste, so if that’s your thing, give it a google. A bit of advice from personal experience: if you’re planning to make your own conditioner with apple cider vinegar, just read the instructions properly and don’t get too excited like I did and pour the vinegar straight onto your head if you don’t want to smell like a bag of crisps for a week. Shower gel was, for me, the easiest product to switch. There are some lovely soap bars out there, check out Spiezia Organics (ooft they smell good) http://www.madeforlifeorganics.com, or another local producer – there are loads of places making soap bars now with no plastic packaging. They are more natural too and eliminate the chance of accidentally buying a product containing microbeads. Remember – using less plastic in your life shouldn’t be a chore, nor should there be guilt for the plastic you do use. It’s about the empowerment and pride that comes from choosing to make positive changes in your life that you know safeguard the environment, both locally and at large. And the more important this becomes for individuals, the more pressure there is on companies to make it easier for us to live without single use plastic. Thank you, and keep up the good stuff! We’re all in this together – collectively we can really make difference. P.S. – Where you can’t avoid plastic, don’t forget to recycle!